I am a big fan of the “Kansas City: Then and Now” and “Kansas City: Then and Now 2” books. No matter where you live there is a history and as much as everyone makes fun of old people and their “back in my day” stories, they are actually very entertaining. These books tell the stories with photos of the past and present side-by-side and, unfortunately, the present is not always better then the past. I wanted to do something like that for a long time on a smaller more amateur level and with the help of the Johnson County History website I will try post some photos once in a while. 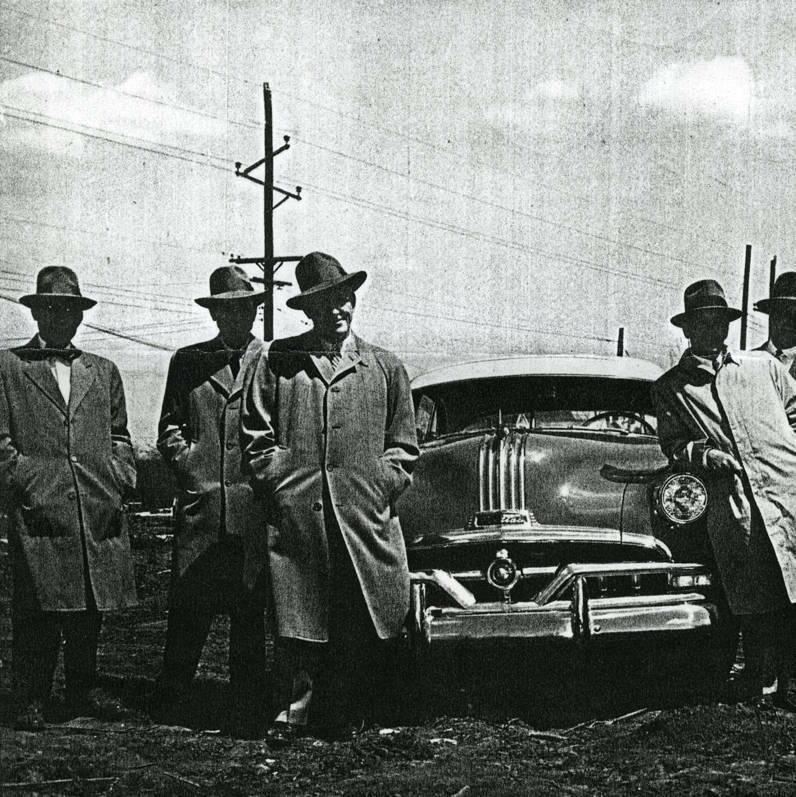 A group of men gathered in front of an automobile at the ground breaking for Andy Klein Pontiac dealership. Not really much of an improvement, but I am sure Mr. Klein would have been proud. 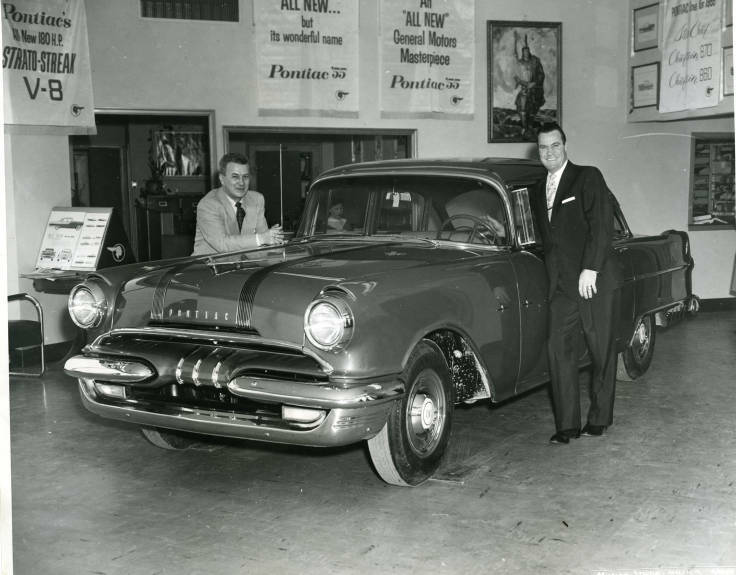 The JoCoHistory website has some additional photos tagged “Andy Klein Pontiac” as well as Mr. Klein’s personal photos. 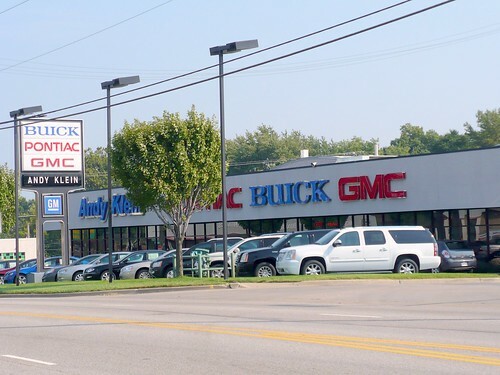 A business like an auto dealership touches many lives and I imagine in the old days it was more personal then now. Over the years it has probably seen a lot of happiness and excitement on its sales floor. Wouldn’t you get excited buying this “General Motors Masterpiece” in 1955,or, should I say “back in the day”.